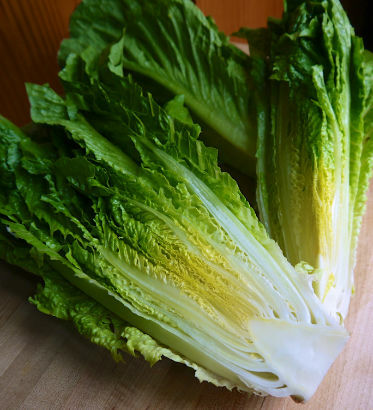 I set out to write a little post about making a grilled romaine salad for Father’s Day, and ended up learning a few things about this crunchy lettuce along the way. It never ceases to amaze me that almost every week I learn a little something new about the ingredients I pick up at the market! 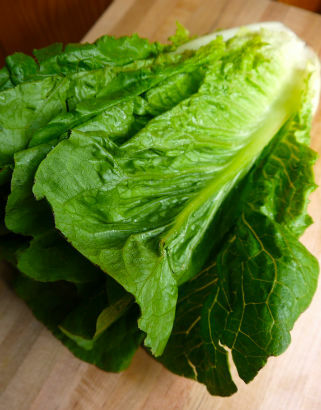 Romaine lettuce has always been a favorite of mine, simply because it can hold up to just about any dressing or vinaigrette. The interior leaves are firm and crisp and provide a nice contrast to the outer, softer leaves, in a salad. Romaine has several vitamins and nutrients present: it’s rich in A, B, C and K vitamins, and contains Protein, Calcium and Iron. Who knew?! This ingredient has it’s roots in Greece, but once it hit Italy it became well know, hence the name. 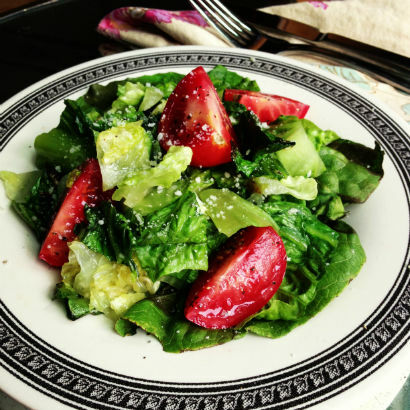 The most typical salad using romaine is a Caesar Salad. A favorite if mine to be certain, but I decided to try out a little something different this week and grill it. There are a two key things to keep in mind for this cooking application: larger and firmer heads are ideal and the grill needs to be very hot. I cut my head of romaine into quarters, keeping the core intact. Then a light drizzle of olive oil and a seasoning of salt, pepper and pecorino. Be sure to lift the leaves and get a little of the grated cheese down in between the leaves. You only want to sear the sides quickly, so a very hot grill is the ticket. You can’t walk away, otherwise you will have burnt shards of lettuce. 15-30 seconds on each side is all you need. The result will be a nice smoky sear, leaving the lettuce relatively crisp. Remove the pieces and set in a tray to cool slightly. You can leave them whole, or chop up into a salad. Sprinkle with a little more cheese and a drizzle of fresh lemon juice and you are done! This is a perfect addition to your grilled steak or fish, crunch, smokey and delicious! 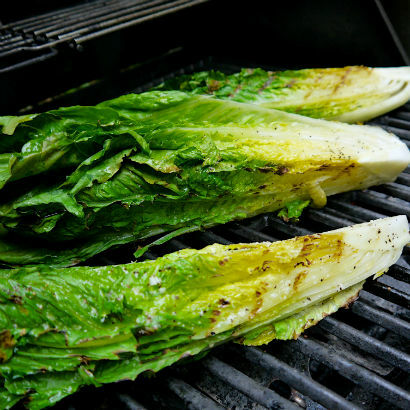 To see my simple recipe for Grilled Romaine, click this link. Happy Father’s Day to all the Dad’s out there, including my Dad in Pittsburgh, Father-in-Law in Los Angeles and my wonderful husband Larry. The secret is out. 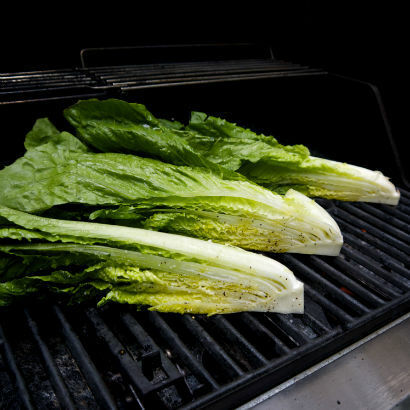 The first time I had romaine grilled was in Aruba and I was hooked at first bite. Beautiful pics Maria and now you have me craving my own salad.